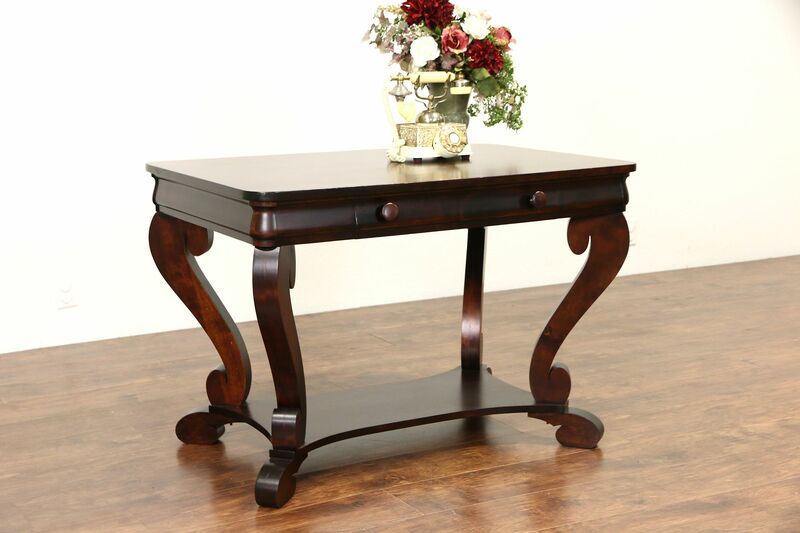 A library table or writing desk in the graceful Empire style dates from about 1915. The restored finish is in excellent condition on mahogany. There is a drawer with dovetailed joints on this American made antique furniture. Size is 42" wide, 28" deep, 29" tall and legroom is 24" underneath.